The Navy’s new unmanned warfare systems directorate (OPNAV N99) will be a “necessary complement” and “natural ally” to the other warfare directorates as it seeks to pair the machine with the man to complete Navy objectives faster and more efficiently, regardless of domain, the director said last week. Rear Adm. Robert Girrier said Jan. 29 at an event cohosted by the U.S. Naval Institute and the Center for Strategic and International Studies that his office, created last summer, nestles in with the rest of the chief of naval operations’ staff without cutting anyone out of the work they were doing previously. The amphibious warfare directorate (N95) will focus on ship-to-objective maneuver, the surface warfare directorate (N96) will implement its distributed lethality concept, the undersea warfare directorate (N97) will achieve undersea dominance and the air warfare directorate (N98) will build the airwing of the future – and N99 will work on human-machine teaming in a way that supports them all. “It is the future. It is not at the expense of, it is not in replacement of – it is a complement to” what the other warfare directors are working on, Girrier said. Girrier said that several research areas – autonomy and data transfer, for example – would benefit unmanned vehicle operations in all domains. Increasingly, he said, the domain has little impact on technology development. “The domain is the enabler; the domain is where the vehicle [operates], where the ‘what’ plays out,” he said. In the near- to mid-term, Girrier said that autonomy and machine intelligence would limit operations to low-risk, low-complexity missions with humans delegating or supervising the work. In the longer-term, however, the level of danger and complexity could increase and operations change to more of a human-machine teaming effort if the unmanned systems can be trusted to reliably carry out their missions. Similarly, as technology improves, endurance could increase from days to weeks to even months, payloads could increase to higher gain sensors and eventually to weapons, and communication and data transfer could go beyond space-based and perhaps move to sea-based. Girrier said that creating a common control system would tie all these improvements together across all domains. Warfare directors and fleet commanders could pick what undersea vehicle or air vehicle is best given their needs and their resources, but the common control system would allow for improvements in command and control, data transfer, user interface and more to reach all domains. That control system is in development now and last month successfully guided a surrogate for the Large Diameter Unmanned Underwater Vehicle through a surveillance mission. Girrier said that last week representatives from the Navy’s warfare centers, the warfighting development centers and other stakeholders got together at Naval Surface Warfare Center Carderock, Md., to discuss warfighting needs and gaps with promising new technologies. N99 will use its Fiscal Year 2016 money to host some demonstrations and rapid prototyping efforts, and Girrier said more funding would be available for these efforts in the upcoming FY 2017 budget. Ultimately, Girrier said unmanned systems would help the Navy move faster than adversaries and take on new missions that were previously too risky. In terms of speed, Girrier said unmanned systems can provide “more than just zeroes and ones” – the systems can go beyond creating raw data and can develop actionable information and pattern-based knowledge. “I don’t ever expect the human element to be completely absent, there will always be a command element in there. But there’s more, much more, we can do. In the end, what do you want? You want actionable knowledge. … and you want to get that as fast as possible,” he said, and machines can help do that. “This is the essence of fighting at machine speed and beating an opponent. 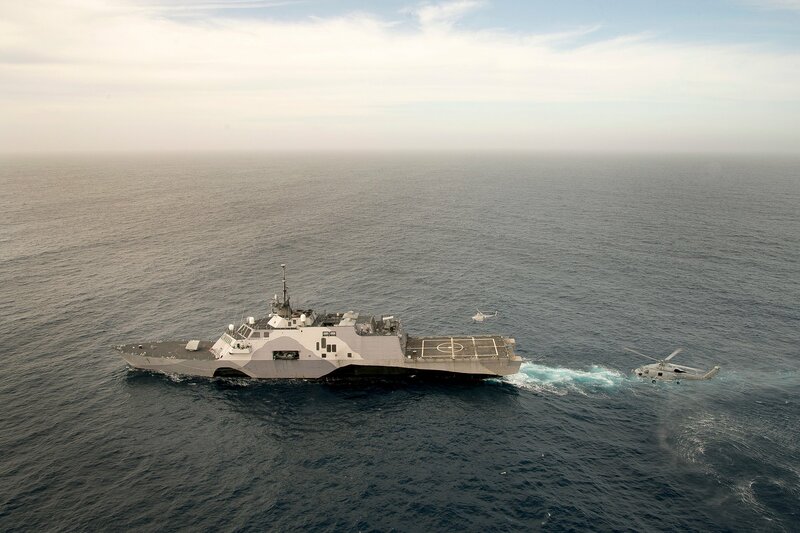 As for new missions, Girrier said that unmanned systems would allow the Navy to reevaluate the risk involved in various actions and environments, perhaps leading to taking on new missions or conducting them in new ways.